I have been a midwife 20 years, over 800 births, over 675 as primary. 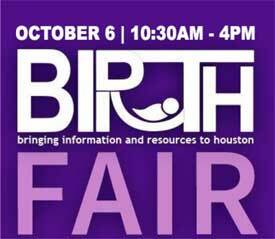 I love ministering to new moms and dads and feel privileged to share in this life changing event. I pray for and with each of my clients and am so grateful for the Lord Jesus in leading and directing in each situation. On a personal note, I have been married to Gary for 42 years. We have six children, two son-in-laws, one daughter-in-law and four grandchildren; Ellie age 10, Colin age 5, newborn Oliver (5/13), and Newborn Silas (7/13). We are a Christian family and that is the focus of all we do and who we are. We homeschooled for many years. We now have one daughter at home attending Katy High School. I understood and was very excited to hear that Dr Edwina Popek would be speaking at the mtg this week. Is she no longer able to attend?? Carol, I think because we are having guests from CyFair, we wanted to provide for lunch as well. Natalie, I can bring spinach and romaine and avocados.